Notice that these requests pertain to their liberty: that they would be free from the bonds of Satan—to hear and receive the gospel. First request: that the Holy Spirit would prepare the soil of their heart for the seed of the gospel. Second request: that they would be liberated from the power of Satan. The first step in preparing one to hear and receive the gospel is to remove the barriers against him. In the illustration of the farmer and the soil, those barriers would be the rocks, the hard unplowed and unwatered ground, the pesky weeds and thistles, and even the insects and the cut worms, hence, all the things that would keep the seed from germinating. The real barriers that come against a potential convert are the demons, the evil world (and all the things in the world), and the sinful flesh. By these things Satan keeps lost souls enslaved and held captive to do his will (2 Timothy 2:26). In fact, Luke 11:21 tells us that Satan, being fully armed, stands watch over them, guarding them day and night to make sure they don’t escape. This captivity is seen vividly in 1 John 5:19. Here it says, “…the whole world lies under the sway of the wicked one.” According to Dunn, “The Greek verb translated ‘lies’ conveys the picture of a mother cradling her baby in her arms and rocking it to sleep. That is a vivid picture of the lost—cradled in the arms of Satan, helplessly and hopelessly being lulled to sleep.”8 Therefore, Satan has his captives (all non-Christians) hypnotized, under his evil spell, empowered by him to do his evil deeds. I think it is quite interesting here, that the devil energizes the unsaved just as the Holy Spirit energizes the saved. Thus there is a definite power in evil, and those who give themselves to the devil will be energized by that power—I suppose in proportion to how much they give themselves over to him. So how should we pray for them so they will be liberated from the power of Satan? (1) God disarmed Satan and all the rulers and authorities under Him (Col. 2:15). (2) He not only disarmed them; He made a public display of them, triumphing over them, through Christ (Col. 2:15). (3) He, having overcome all time-barriers, delivered from the captivity of Satan all who have and will repent, bringing them into a life of freedom in Christ (Eph. 4:8). (4) He also has cancelled out the debt of sin for those who have and will repent, having nailed it to the cross (Col. 2:14). (5) He continues to lead all believers in His triumph as they emit a sweet aroma of victory in Him (2 Cor. 2:14). I should note here that Satan and his demons and all the powers of evil were not eliminated at the cross, but the cross sealed their doom.10 For now, however, in order for that power to be actually broken we must appropriate the victory that is ours in Christ. Thus we can claim that if God has bound Satan in heaven (in our life and for others) then we can bind Satan in our prayers (for ourselves and for others) on earth. And if He has already loosed us from captivity in His own mind in heaven, then we can do it in our prayers (for ourselves and for others) on earth (Matt. 6:10; 18:18). Therefore, let us pray according to the victory of Christ and according to the authority of the Word of God, that Satan would be bound and that the lost souls who are suffering in captivity would be released. Moreover, as we pray for captives to be released we can pray more specifically that the strongholds of Satan be torn down. These strongholds may be viewed as the bars of the cage that Satan has them in, or as the chains that bind them, or as the spell that he has them under. Thus let us pray that the chains be broken off, and that the spell on them be broken. Let us pray that their blindness be removed; hence, that they would see the error of false doctrine, and that all false teachers would be exposed for what they are. 8 Ronald Dunn, Don’t just Stand Their Pray Something (Nashville, TN: Thomas Nelson Publishers, 1959), p. 120. 10 Everett Harrison, Colossians Christ All-Sufficient (Chicago: Moody Press, 1971), p. 63. 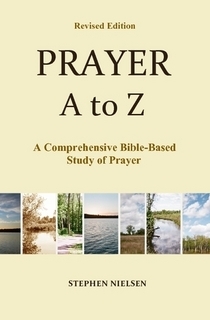 This entry was posted in Evangelism and Prayer, Prayer A to Z Excerpts and tagged breaking the chains, Evangelism, prayer, prayer for the lost, prayer to hear gospel. Bookmark the permalink.